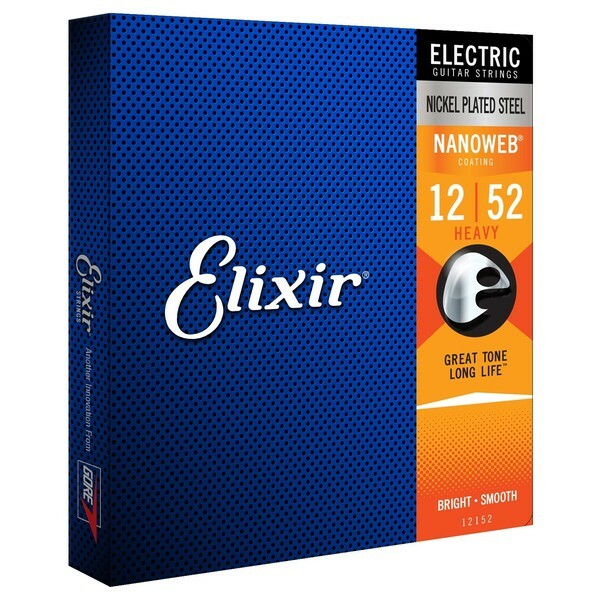 Electric Nanoweb Medium, 12-52 gauge. 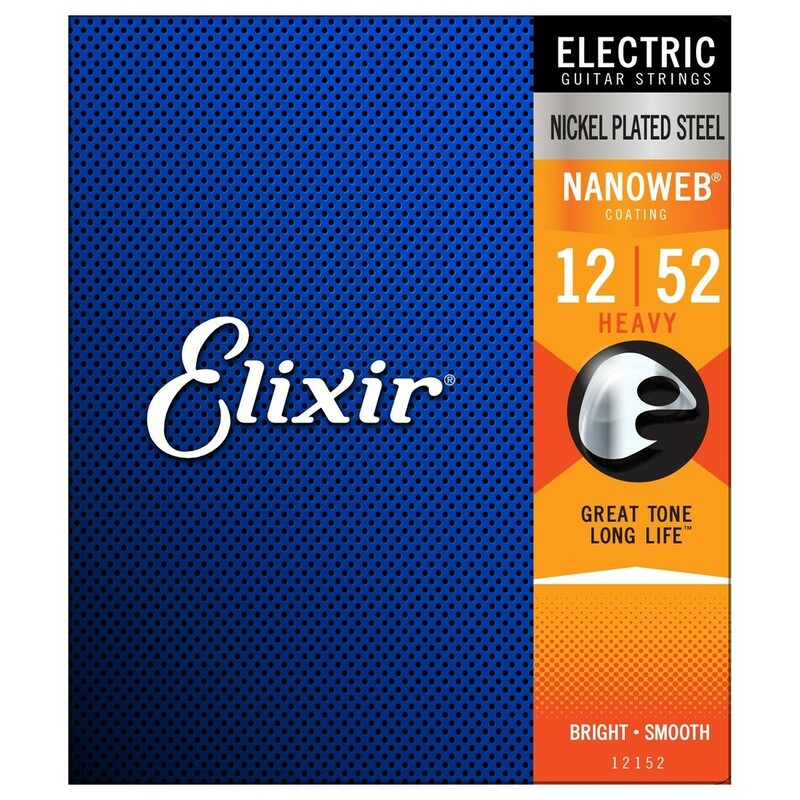 Elixir Strings for electric guitar give you great tone that lasts 3-5x longer. 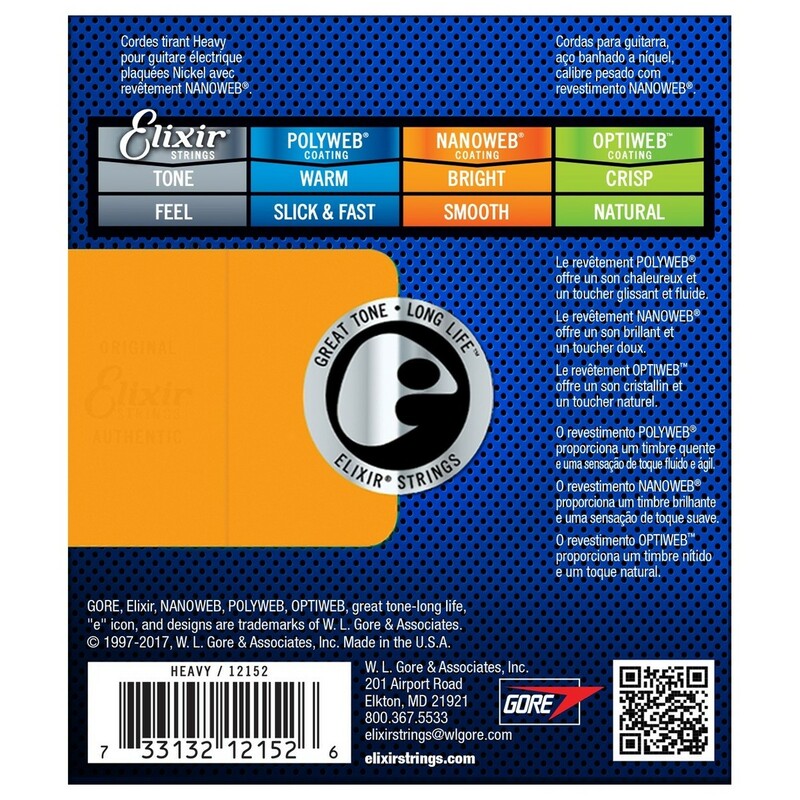 Elixir Strings deliver the presence, punch, and detail of the finest conventional strings while extending tone life and clean, new-string feel 3-5x longer.